Since its inception in 2010, the Pioneering Metallurgy Project has surveyed pre-industrial iron and steel production sites across the four districts of northern Telangana, India. The initial reconnaissance in this region, which is rich in easily accessible banded magnetite and lateritic iron-ore deposits and famous for producing wootz (Damascus) steel, yielded 245 locations associated with pre-industrial iron and steel production. A brief ethnographic study also hinted at surviving memories of iron and steel production among the local kammari (blacksmith) community. This was followed by a focused and detailed ethnoarchaeological study of the diverse iron-working communities in northern Telangana, supported jointly by the University of Exeter and the National Institute of Advanced Studies (Bangalore, India). By working closely with the octogenarian members of the extant mudda kammari (lump-iron maker) community to identify and survey iron-smelting sites, it was possible to derive a comprehensive understanding of the social context of production. The research revealed a complex set of decisions involved in the organization and spread of production in the landscape that provided an explanation for the location of the identified sites. 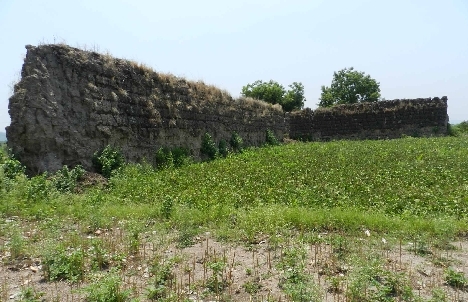 The research also unveiled the vulnerability of the mudda kammari in the declining years of the craft in the late 19th and early 20th centuries, and the strategies taken by communities in different parts of the survey area to keep iron-smelting economically viable. Through sustained ethnographic research over three field seasons with the mudda kammari community, the research sought to situate the community in the rural hierarchy of the study area. This talk will also focus on how the dynamicity and malleability of rural caste boundaries were intelligently used by the smelting community to enhance their caste status and survive the erosion of identity after the final decline their craft.